According to Janet Murray, “the pleasure for the audience is in savoring the variations” (Murray), equating the purpose of transmedia storytelling to engaging audiences across a wide range of media formats. 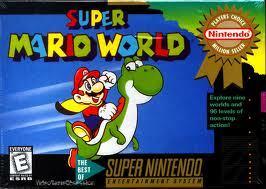 When thinking of a series that has successfully transcended multiple platforms, Super Mario becomes a prime example. Spanning decades, Super Mario and its cast of characters paved the way for not only in-home video game technology but also film, television, and novelties such as toys and comics. 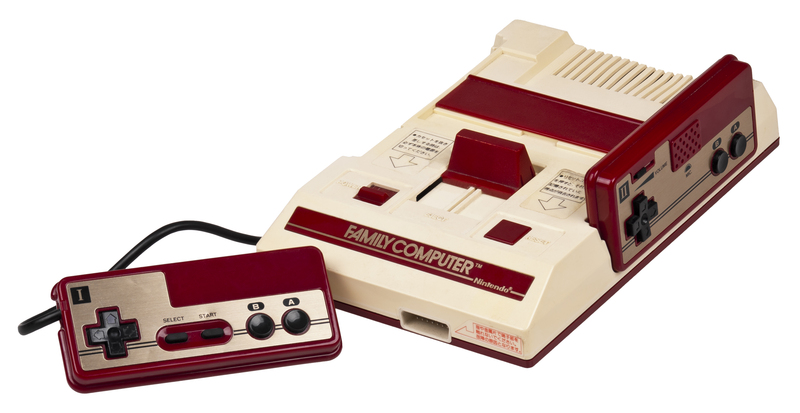 In May of 1983, the creators of Nintendo finished the first Super Mario Bros. game, releasing it in conjunction with their first console, the Famicom. 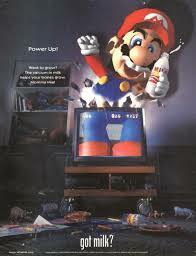 North America would see the first Mario video game by 1985 and the video game industry was changed forever. The most resonant aspect of transmedia storytelling within the Super Mario Bros. franchise involves world building. 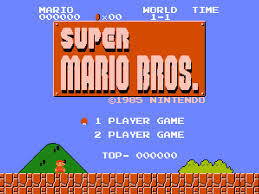 Beginning with its first video game, Super Mario Bros. created one of the first immersive in-game experiences with a graphical backdrop that was unlike many other early games. Moreover, utilizing the fictional world, obstacles, and other character Mario himself encountered, the Nintendo brand was able to branch out by manufacturing toys, new video games, and especially movies. 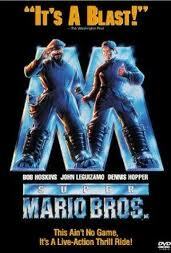 Although it is considered a filmmaking blunder, the Super Mario Bros. movie from 1993 was a monetary success with an all star cast including Bob Hoskins and Dennis Hopper. 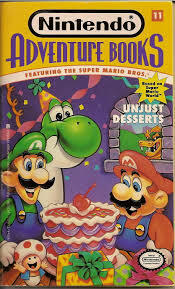 More significant is the fact that a full length film gave fans a way to discover the Mario world in a different medium, even if the plot line mimicked that of its video game counterparts. What has set Mario apart in the game industry is their creation of the first free-form video game in history, Super Mario World, where players were free to roam in different maps, with different directives, and even had to abide by time as the sun and moon would appear in real time, bringing about different challenges within gameplay. Secondarily, a heavy use of migratory cues have been used to advance the franchise and market to fans. “The first that most North American gamers got to see of Super Mario Bros. 3 was in The Wizard… The film culminates in the unveiling of Super Mario Bros. 3” (Rick). Advertising campaigns have clued many into the creators’ mindset. 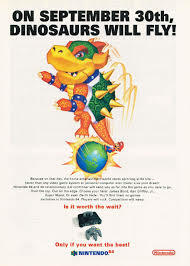 “Nintendo’s famous launch advertisement read, “On September 30th, Dinosaurs will Fly” (Rick) is a direct ad quote used during the launching of Mario for Nintendo 64. Tipping off fans to their intention to release the new game, Mario developers had lines stretching out doors and the record was broken for most launch day sales. Lastly, Super Mario has served as what Henry Jenkins calls a “cultural attractor.” Fans can connect to Mario through its longevity and presence in American culture, specifically. 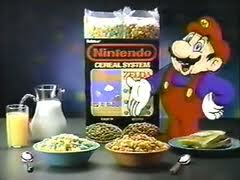 Simply put, Mario is everywhere, having once been known to be more famous than Mickey Mouse. Super Mario is a staple in world media culture and has successfully pervaded nearly every aspect of the consumer market whether it be Mario movies, apparel, shows, books, and even cereal. Jenkins, Henry. “Transmedia Storytelling 101.” Confessions of an AcaFan. N.p., 22 Mar. 2007. Web. 1 Mar. 2014. Rick. “Nintendo’s Shining Star: The History of Mario.” Gamecubicle.com. GameCubicle, 2001. Web. 1 Mar. 2014. Sports is my area of passion and knowledge. Although the Yankees or Derek Jeter specifically are not my favorite sports figures, both have been paramount in media culture in the last decade. Derek Jeter, the thirty-nine year old shortstop for the New York Yankees, is a prime subject for an analysis of Wikipedia’s credibility. He has been in the public eye, glorified, and vilified for years, making his life accessible, and potentially easy to fabricate. Looking at the revision history of Derek Jeter, there are currently 6,846 total revisions, with only 2,583 users who have edited. Percentage wise, those numbers equate to 2.65 edits per user with the top 10% accounting for 53% of what is currently readable. 53% of the editors on the page come from a small group of individuals, the top 10%, therefore, my mind tells me that there is a select number who consistently update the page and are passionate enough about Derek Jeter to have added enough information to place them above other users based on their activity. Instead of having a massive range of people constantly putting up edits, a vast majority (over 50%) of revisions come from the “top 10%” of users. Another key factor that plays into the credibility of Derek Jeter’s Wiki is that there has been a consistency to the updates, ranging as far back as early 2003. Although there are momentary gaps, the timing leaves little room for minor details of his life to be excluded. Derek Jeter is a legendary athlete, playing on a mainstay in international culture, therefore, should be considered a solid example of how fact checking is necessary as athletes are only as famous as how good they are statistically. Simply put, Derek Jeter can be summed up and discredited in terms of the numbers he produces on the field, making him hard to manipulate where it counts, his game, and on a more irrelevant side, his off the field persona. Lastly, the discussion board of the article includes more revisions, each being debated by several contributors which makes me believe every fact in the article was checked by fervent and knowledgable supporters (see below). I am both surprised and very confident in the revision statistics after having read through, checking for any misinformation I could recognize. Henry Jenkins’, “What Wikipedia Can Teach Us About The New Media Literacies,” poses strong pros and cons regarding the usefulness of Wikipedia. Wikipedia should not be a focus of research, but the compilation of sources allows one to acquire a foundation before using inquiry to analyze different sources. The quote, “just as young people coming of age in a hunting based culture learn by playing with bows and arrows, young people coming of age in an information society learn by playing with information” (Jenkins), epitomizes the idea behind Wikipedia and the debate on its validity, especially in education. Wikipedia is a beginning, where, being the essence of education, one must go above and beyond to truly research, understand, and learn a topic. Jenkins, Henry. “What Wikipedia Can Teach Us About the New Media Literacies (Part One)” Confessions of an Aca-Fan. http://henryjenkins.org/2007/06/whatwikipediacanteachusab.html, 26 June 2007. Web. 13 Feb. 2014. Jenkins, Henry. 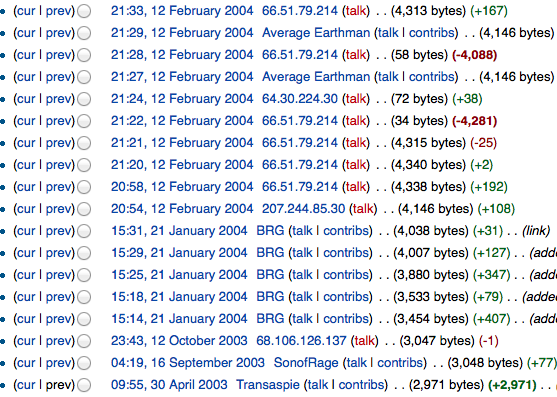 “What Wikipedia Can Teach Us About the New Media Literacies (Part Two)” Confessions of an Aca-Fan. http://henryjenkins.org/2007/06/whatwikipediacanteachusab1.html. 26 June 2007 Web. 13 Feb. 2014. “Derek Jeter.” Wikipedia.com. 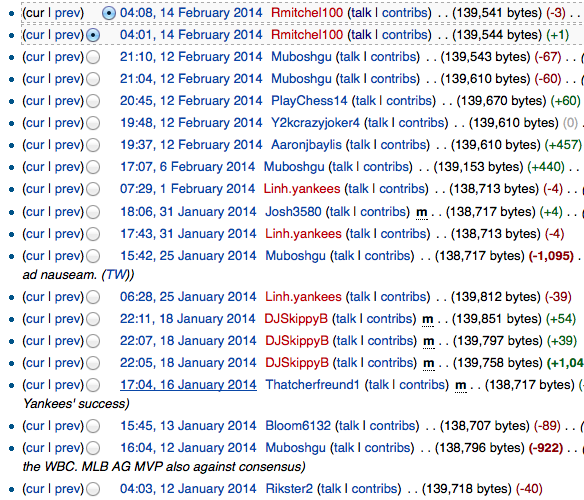 Wikimedia Foundation, 16 Feb. 2014. Web. 16 Feb. 2014.